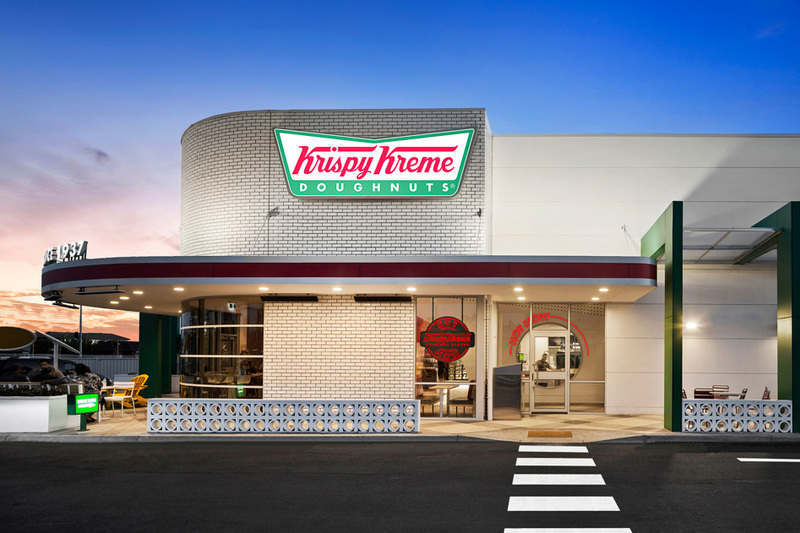 Krispy Kreme is an iconic brand, not only across Australia but the world. 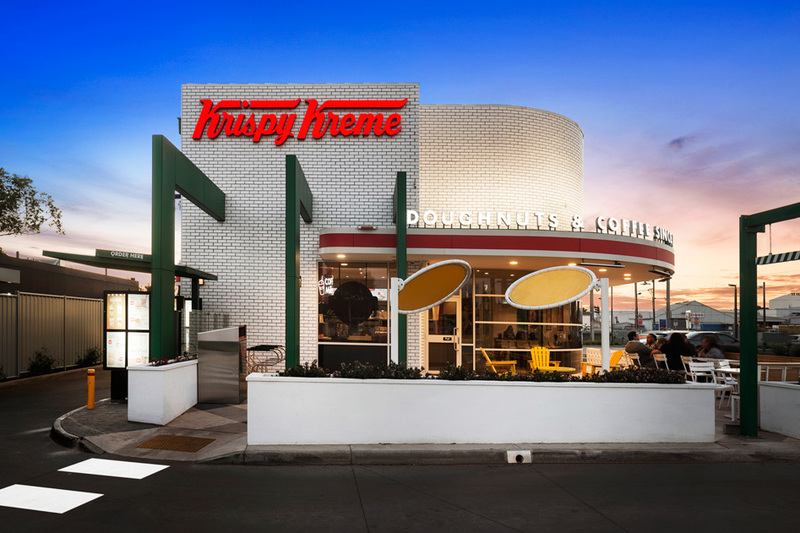 In 2003, the American global doughnut company launched into Australia and soon established a national footprint, becoming the first country outside of the US to make the iconic doughnuts. 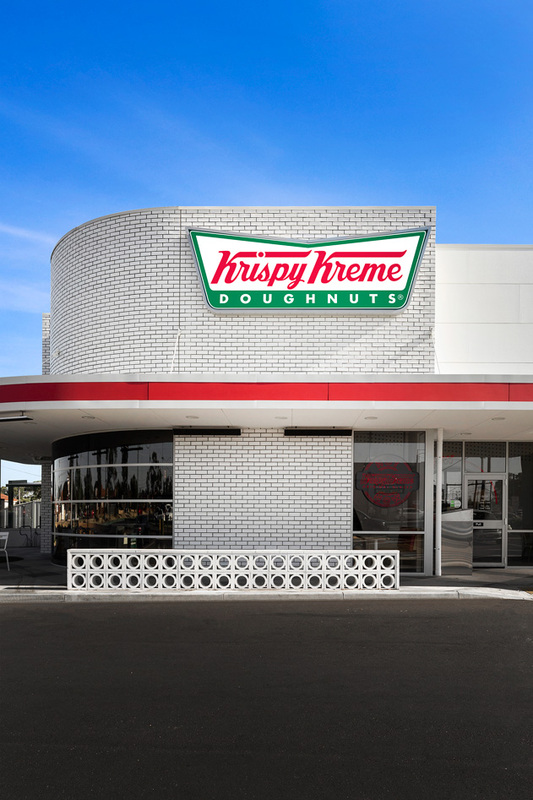 The business expanded rapidly to more than 40 stores by 2010. 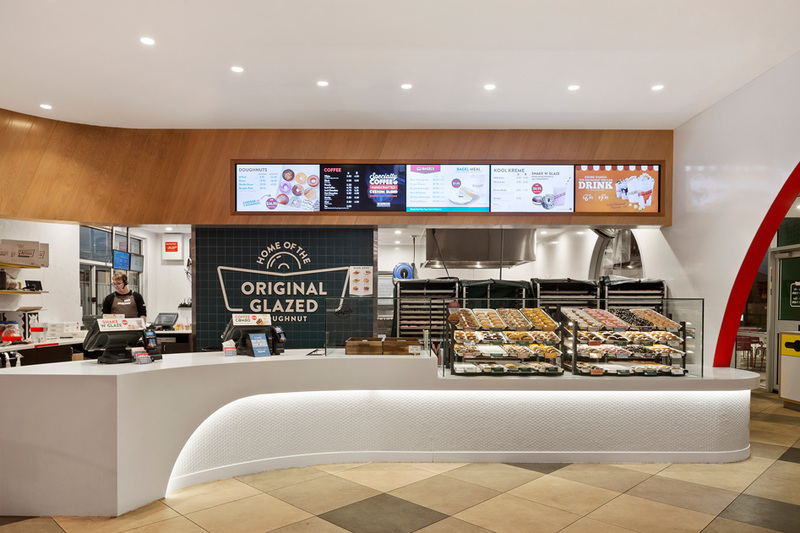 Light Culture supplied lighting for a national rollout in 2018, which meant illuminating stores across Victoria, Queensland and New Zealand. 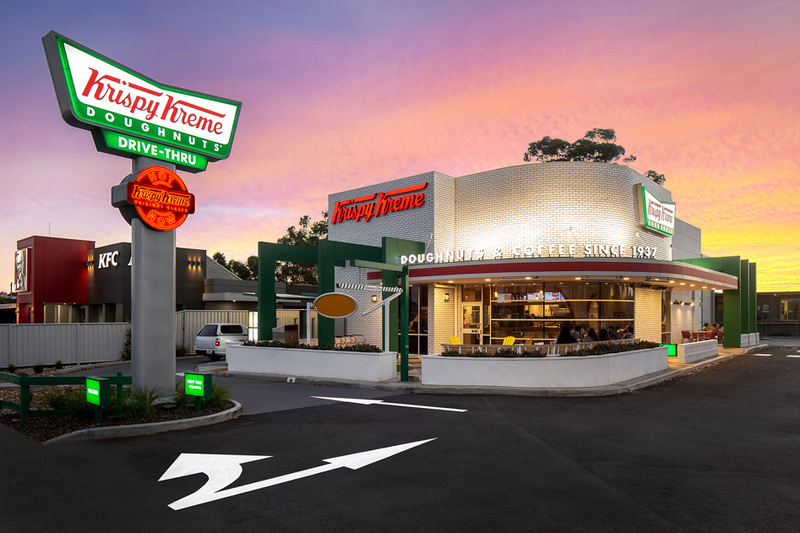 Krispy Kreme Fawkner was one location which utilised Unios products. 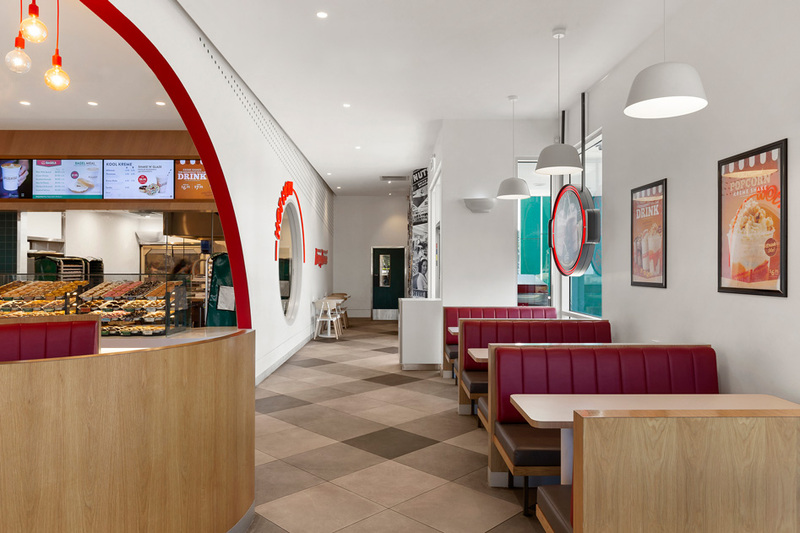 Located on Sydney Road, the fit-out resembled an all-classic American ’50s diner, with vibrant colours popping throughout the space. 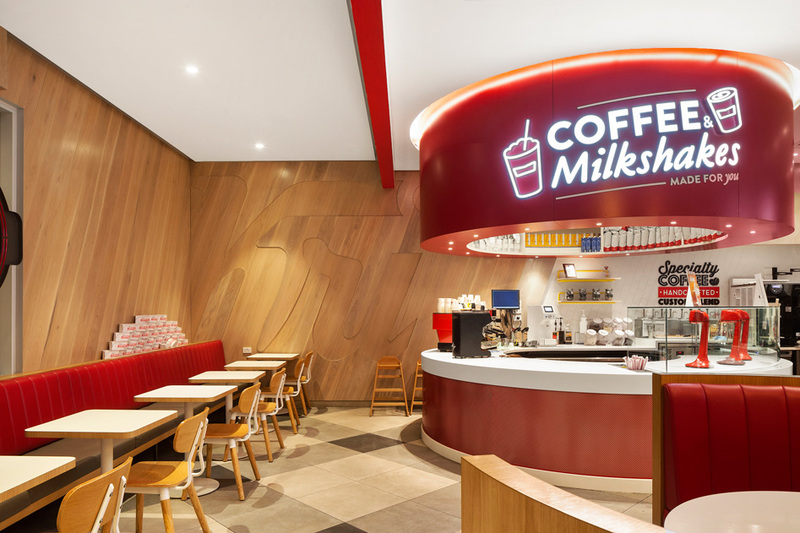 A strong focus on the lighting design for not only Fawkner but the entire rollout was the high quality of colour rendering for each store. 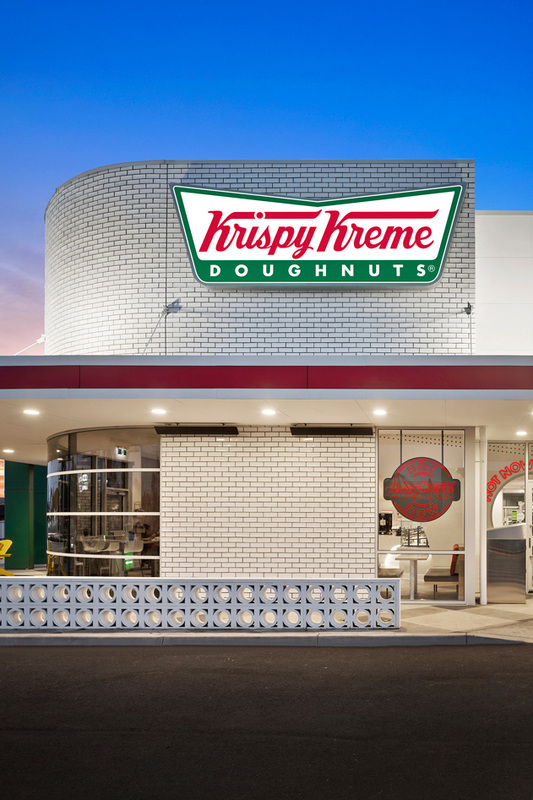 The Titanium 97+ Downlight would bring out the true colours of the interiors and appetising selection of doughnuts. 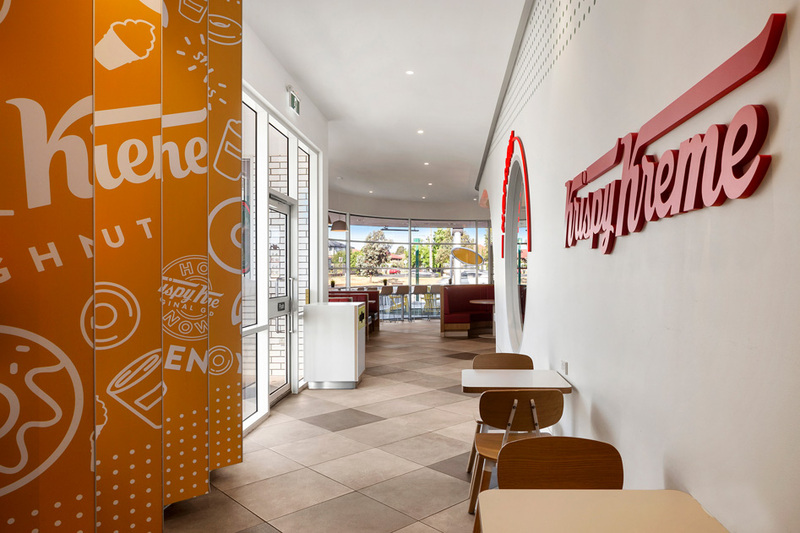 Without the Titanium 97+ Downlight, these objects would appear faded or dull. 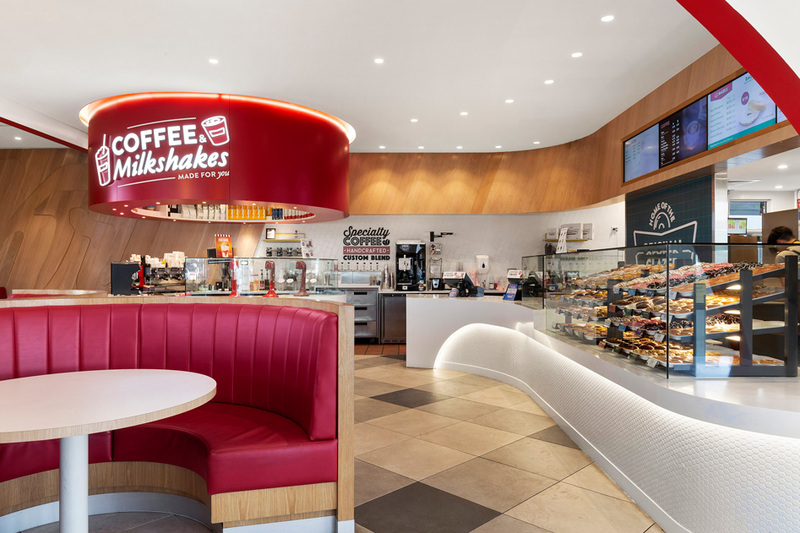 Moving to the adaptable nature of the Aeon Flex Series; the strip light showcases its true flexibility in Fawkner, wrapping around the circular frame of the coffee and milkshake bar and highlighting curves across the front counter. 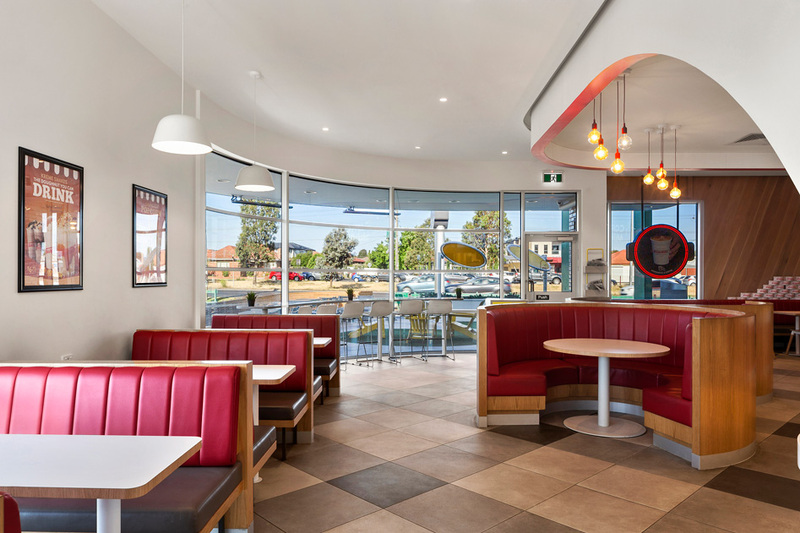 On the exterior front, the Apex Downlight makes this diner a standout along Sydney Road. 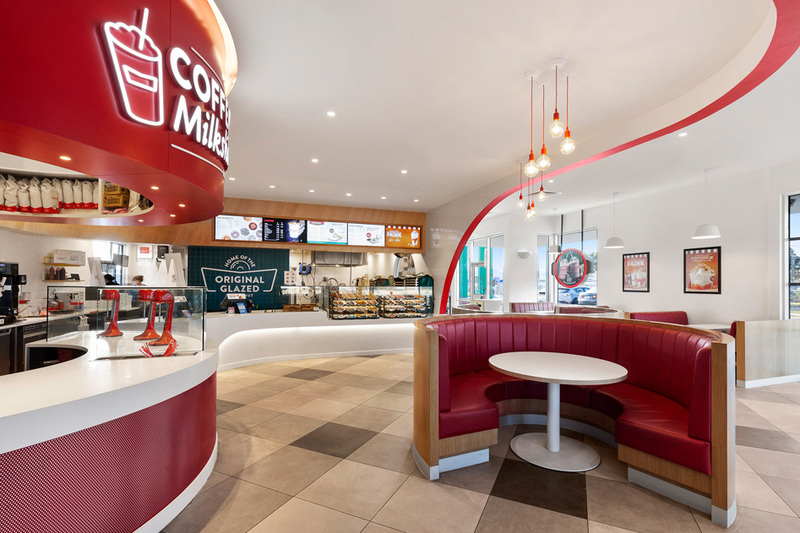 The 25W luminaire offers a subtle yet versatile lighting solution outside which provides optimum lighting output from the clear lens and faceted reflector.